After posting yesterday’s report, I read this tweet from Hunter (of Hunter’s Insight) “You can tell someone went into GW2 with a negative attitude to begin with when they start a post with complaints. Confirmation bias.” That’s very true, and I hope I’ve managed to keep my commentary balanced. I don’t want to come across as a total fanboy over Guild Wars 2, so I’m pointing out issues and concerns, but don’t misunderstand me: I really enjoyed my brief time in Tyria 250 years later. When Natural Sword and I teamed up again for the last few hours of the beta weekend event, it was amusing how often we’d use words like “epic” and “awesome” in discussing the most recent dynamic event chain. We’d both made it past level 20 but the content scaling seemed to be working quite well — it was challenging without being too deadly. It was a beta event, but aside from the few bugs I mentioned in the earlier installments, and a few more I encountered on Sunday, the game felt very polished and immersive. 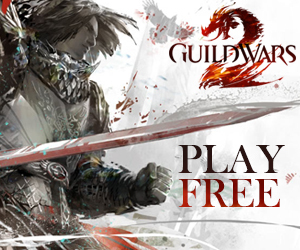 After I finally got to bed this morning (3:00 a.m. local time), I found I was dreaming with the Guild Wars 2 UI overlaid (the dream wasn’t GW2-related, but I had to use the WASD keys to move and I kept pressing the F key to interact with people… I’m going to feel like I’m wading through mud when I get back into Guild Wars, as the character movement in Guild Wars 2 is so fluid it almost feels like you’re on ball bearings. I found I was frequently “over-correcting” my movements for the first few minutes in game. I spent somewhere in the region of 30-32 hours this weekend playing (I forgot to check before the finale), and I would have played even more if I could have physically taken it. The only times I found my frame rate dropping badly was during the first few minutes in the starting area on Friday (with hundreds of other brand-new characters cluttering up the terrain), and the last hour on Monday morning, as the zerg formed and rolled through Wayfarer Foothills. 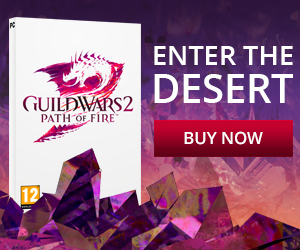 On Saturday, I got the email from ArenaNet, with instructions on how to claim my gems for the beta weekend event, but couldn’t get it to accept my credit card information. As I know the credit card is still valid, I have to assume that the problem was with the verification process. As a result, I didn’t do anything with gems — but that’s okay because I was far too busy with so many other things that I didn’t feel I was missing out on anything in the short term. I bought basic tools for harvesting/gathering materials, but my character couldn’t use the axe at first (which is a bit ironic for a ranger), because the axe I bought was level-limited and I didn’t notice until after I’d purchased it. The sickle works well, and the pick works, but I’ve ruined some good ore by using a crude pick — once again, I assumed that the gathering tools were all of the same quality and my assumption was wrong. With all the neat raw materials I was gathering, I briefly tried crafting (Natural Sword was having log-in issues at the time). I thought leatherworking would be a good choice, so I could make some more useful bags to carry all my inventory. I had plenty of leather strips and scraps, but there didn’t seem to be any way to actually make use of them. I apparently needed leather squares as a primary component, but I don’t think they drop as loot and I haven’t able to salvage any yet. There’s probably a simple reason for that and I’d be bound to figure it out about five minutes before the grand finale… but that was the end of my brief crafting career for the weekend. My alliance leader posted to our Facebook page that at least one of our members got caught in an unfortunate situation: he logged out while in WvW, and then couldn’t log back in again on that character because the server was full. I’ve already mentioned my (self-induced) pet issue, but here’s another example of my lack of clue: I was watching a short video about early game ranger play when I realized the ranger was using a sword. Yep, my ranger had all the bow skills, all the greatsword skills, all the axe skills, plus all the warhorn and dagger offhand skills, but I completely forgot that he could wield a single-handed sword. I’d sold off the various swords I had picked up as loot, so I bought one from a weaponsmith. The chained skill for the sword is nice, and one of the unlockable skills (Serpent’s Strike) had a nice tactical feel to it, but now that I’ve compared the two, I think I’ll stick with the greatsword as my non-ranged weapon of choice (the Swoop skill is my favourite: leap to an enemy and hit your target and nearby enemies, too). I’m a bit of a completist, so I didn’t want to move on from Queensdale until I’d explored everywhere and picked up all the skill challenges. I almost managed it: there’s one skill challenge in Beetletun that never seems to be available: the challenge giver is always dead. After a number of visits, I gave up and went on to Kessex Hills. There, I had an amusing minor bug show up: an invisible NPC. I was down in a shallow valley, fighting Ettins, when suddenly there’s a voice of “Veteran Gort” complaining about the Ettins having taken his home. But no actual Veteran Gort to be seen anywhere. After I took care of the Ettins for him, he said “Follow me. With the Ettins gone, I can reveal a reward.” Hard to follow a disembodied voice, though. A slightly more bothersome bug was in my character’s personal story. You go into an instance of Black Haven, and it looks like you have to go take out some mortars which are being used to bombard the outpost. I jumped off the walls (I love jumping), and took out the first mortar. I thought it’d be fun to use one mortar to take out the others, but when I tried to interact with the mortar I’d captured, the controls didn’t work and I couldn’t exit from it. My character was trapped inside the “legs” of the mortar assembly and couldn’t get out. The whole instance seemed to be locked up, as there was no other activity visible at all. I had to log out of the game to get away from that imprisoning siege engine. In summary, I had an amazing time in Tyria this weekend, and I will be eagerly awaiting my next chance to visit. I’ll try a different profession or two in the next BWE, but I hope I’ve got sufficient familiarity with the user interface and basic mechanics that I won’t spend quite to much time scratching my virtual head and wondering how to do simple things. Next: The Content Must Flow!